Fifteen years have gone by since I first read Harry Potter when I was 18. I used to reread the books regularly but over time I began revisiting Hogwarts with less frequency. The fifteen year anniversary of my first reading seemed like a good time to do a little test to see how well J.K. Rowling’s bestselling series holds up after all. Will I love it as much now that I’m 33, married and career-minded? 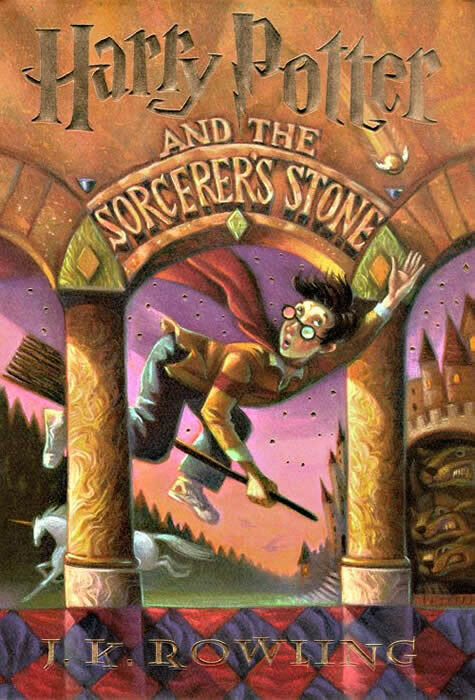 Perhaps nostalgia is a powerful steam engine, but I got lost in the first book, Harry Potter and the Sorcerer’s Stone every bit as easily as I did back in the day. There was definitely an element of comfort and familiarity at play as I got pulled back into the story. Pulling this book off the shelf was like visiting with a beloved friend you haven’t seen in a long time for a hearty meal. But you can’t put it all on nostalgia. That takes away from the effortless charm and breezy wit Rowling employs in building the world of Harry Potter in this first installment. She makes this introductory volume less plot heavy in order to focus on world building without overwhelming the reader. The plot isn’t so much about a hero and a villain like all the others would be (the villain is practically an afterthought). Here, the plot is about Harry’s first year at Hogwarts. As such, we get to follow along on the journey and get to know all about what it is to be a student at Hogwarts–and a wizard living in this world. With this framework established, Rowling would be able to play about more boldly in subsequent books. It also allows Rowling to keep the focus light and airy. Sorcerer’s Stone is solidly in the intermediate level. As the series progresses it will get darker, trending further and further into the young adult level–aging along with Harry himself and the seriousness of the dangers he faces. In comparison to where we’re going, Sorcerer’s Stone is practically a children’s book. Even Harry’s concerns in this book are childish. His biggest goal here, at age 11, is winning the house cup for Gryffindor. For context, by the time Harry is fourteen in book four the house cup will barely even rate a mention. Even Quidditch will barely factor into the later books. To be fair, by the end a lot of heavier plot devices have been set in motion that make it impossible to include everything that happens in a school year. But the point stands: at this point in time, Harry has a lighter view of the world and lighter cares. Winning the house cup means the world to him because he can’t imagine anything worse than being a loser anymore. The fact that Rowling makes plot take a backseat to world building is probably a smart decision in the long term, but there’s no denying that it makes the conclusion problematic. Because there has to be a showdown of some sort, and she needs to get to work setting up Voldemort’s eventual return, otherwise Sorcerer’s Stone would go nowhere and it wouldn’t do a proper job setting up the conflict Harry will face over the course of seven books. So the villain plotline is relegated to a subplot that gets teased out in hints and details here and there, finally coalescing into something actionable only in the last forty pages. At that point it feels rushed, slightly haphazard, and doesn’t come together. Just as it’s forming, we get a deus ex machina to take care of everything. I suppose that makes sense considering that Harry only just learned that he’s a wizard–there’s no way he would be able to believably win a fight against a powerful wizard, especially one powered by Voldemort. Employing a deus ex machina allowed Rowling to hew closer to the reality of Harry being a child. Having someone else essentially fight the battle here makes it more effective when he grows up and fights his own battles beginning in the next book. Except there’s also no denying that the plot, as much as there is one, doesn’t make much sense if you stop to think about it. There are entire plot points built around the flimsiest of premises. So when we’re expected to follow the reality of Harry’s youth sidelining him from the big fight at the conclusion just as it’s about to get interesting, we’re also somehow expected to believe that Harry, who has never flown on a broomstick, is such a natural at it that he’s not only good at it but he becomes the youngest player on his house’s Quidditch team and gets himself out of serious trouble simply by being so inherently good at it. That’s problematic. More problematic for 33 year-old me to accept than 18 year-old me. I was more willing to check my brain at the door and go with the flow as a youth, I suppose. To be fair, it doesn’t help that the market is currently saturated with “chosen one” stories that have essentially ripped off Harry Potter. 18 year-old me would naturally have an easier time going with the flow in a story like this because I wouldn’t have learned to be jaded by all the low-quality imitators glutting the market. The very fact that Rowling attempts a balance puts Harry Potter head and shoulders above the pretenders to its throne (most of whom now also wear the dystopia badge after The Hunger Games). Even here, when she is introducing her protagonist, Rowling was never interested in making Harry perfect. Yes, he’s impossibly brave and noble. Yes, he tends to make the difficult choices in order to do what’s right. But he’s also impetuous. He has a temper at times and can be stubborn. He can be misled. He can even be rude and thoughtless. But I’m getting ahead of myself. Sorcerer’s Stone is still great, charming fun, even if it was a little disappointing to realize how shallow it is. It does an excellent job of setting up the drama to come, but that’s about it. I’d probably grade it a touch lower, but in the end I appreciate that the time Rowling spends establishing what a typical year at Hogwarts is like in this book allows her to use that framework to break those very boundaries in subsequent installments. Read on for more about this installment. Or check out my Harry Potter page for more. Up next: Harry Potter and the Chamber of Secrets. Well, everyone. This being the first book in the series, we obviously meet everyone. Let’s cover the ones who will be back in big ways throughout the series, shall we? Naturally we meet our intrepid protagonist Harry Potter, as well as his best buddies for life Ron Weasley and Hermione Granger. There’s also Harry’s arch-nemesis Voldemort (the most powerful dark wizard of all time, whose quest to return to his body will form the first four books and whose quest to kill Harry and take over the world form the following three). On a smaller level we have Harry’s school-level nemesis Draco Malfoy, an over-privileged bad boy with an eye for pureblood wizarding families. There are lots of other students at Hogwarts, and in Gryffindor in particular, but most of them will remain background characters. The only one who will play an increasingly important role down the line is Neville Longbottom, a clumsy but well-meaning boy who shares a dorm with Ron and Harry. Running the school we have Albus Dumbledore, who will form a fatherly mentor/friendship with Harry as they face off against Voldemort. Professor Minerva McGonagall is the strict head of Gryffindor house and Dumbledore’s right hand. Gamekeeper Hagrid is a lovable lug and confidant for our central trio. Potions master Severus Snape, on the other hand, despises Harry Potter just as much as he hated his father–and will spend every book making his life as difficult as possible. Being an orphan though, Harry must live with his Uncle Vernon Dursley and Aunt Petunia, who raised him along with their son Dudley, although they decidedly favored Dudley over him and indeed made Harry live in a cupboard under the stairs. They don’t take kindly to magical folk, you see. That tension will repeat throughout the series. Harry spends most of the book obsessed with his Nimbus 2000 broomstick, but of course the entire book hinges on the safety of the titular Sorcerer’s Stone (known in the UK as the Philosopher’s Stone). The Sorcerer’s Stone is the creation of alchemist Nicolas Flamel and using it can grant a person immortality. Dumbledore has it moved to Hogwarts to protect it, but Professor Quirrell and his oversized Voldemort pimple quickly infiltrate the school and conveniently take the entire school year to figure out how to get beyond the defenses Dumbledore set up around it. Nevermind that the centerpiece of those defenses, the Mirror of Erised (which shows you your heart’s deepest desires) spends half the school year located somewhere else so Harry can stumble on it, see his parents, learn an important lesson, and understand how the mirror works when he encounters it in the final showdown. Harry also gets his first uses of his invisibility cloak, a tool which will allow him to sneak about the school for years to come. Solid as a rock. 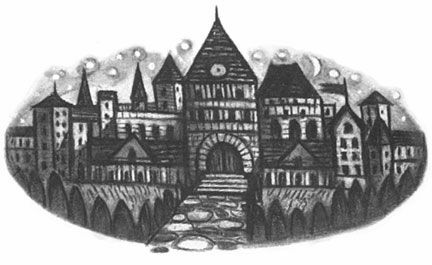 In this super-wholesome entry everything is sunny all the time, so no one other than Draco Malfoy or Severus Snape (or the Dursleys) would dare question Harry Potter’s noble intentions or do anything but admire him for being ‘the boy who lived.’ Harry won’t get his first taste of suspicion or fear until the next book in the series, Harry Potter and the Chamber of Secrets, and even that will look tame compared to what lies in store in the future.